Seeing a story is like is so disappointing. I can’t believe there are people who would steal a prosthetic leg from a 4 year-old boy! It breaks my heart but I’m glad that I was able to offer my help. We often get caught up in our lives and our troubles that we forget to help others. Remember, do good and be good. 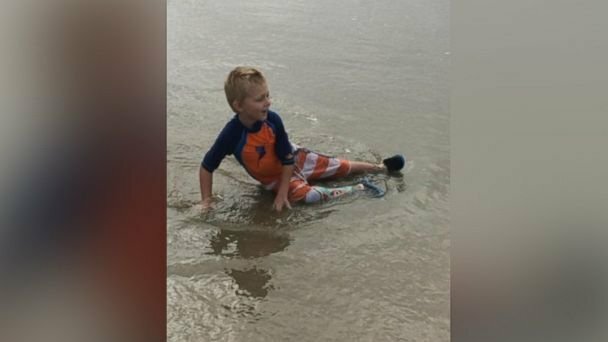 One dad’s public plea for the return of his son’s stolen prosthetic leg has led to thousands of dollars in donations from strangers. Liam, 4, was swimming with his dad, Frank Brenes, two brothers and other family members at Crystal Cove State Beach in Orange County, California, the morning of July 24. Brenes had Liam wear an old prosthetic in the ocean so that the new prosthetic would be protected from the salt water. Liam’s right leg was amputated at the age of 1 due to a rare condition called FATCO syndrome, Brenes said. The prosthetic was taken along with a family member’s cellphone, wallet and Brenes’ camera. Brenes reported the missing items to the state trooper and searched garbage cans in hopes the person who stole the leg dumped it near the beach, but there was no luck. Since news broke of Liam’s stolen prosthetic, Brenes said he hoped the coverage would entice the culprits to return it. Liam hopes to continue his favorite sport of karate with or without his prosthetic, his father said. Since yesterday, the family has received crowdfunding donations of over $10,000 to go toward a new leg for Liam. In addition, Robert Herjavec of ABC’s “Shark Tank” has offered to donate a new prosthetic for Liam. The star is also sending the boy and his family to Disneyland, according to Herjavec’s rep.